Analyzing Scott Pilgrim vs The World one minute at a time! In this episode, Bryan, Dav, and Sam discuss the music and say goodbye in this final minute of Scott Pilgrim vs The World. In this episode, Bryan, Dav, and Sam discuss what didn't work for them with Scott Pilgrim vs The World. In this episode, Bryan, Dav, and Sam discuss the film's production during minute one hundred and ten of Scott Pilgrim vs The World. In this episode, Bryan, Dav, and Sam discuss the cast during minute one hundred and nine of Scott Pilgrim vs The World. In this episode, Bryan, Dav, and Sam breakdown minute one hundred and eight of Scott Pilgrim vs The World. In this episode, Bryan, Dav, and Sam breakdown minute one hundred and seven of Scott Pilgrim vs The World. In this episode, Bryan, Dav, and Sam breakdown minute one hundred and six of Scott Pilgrim vs The World. In this episode, Bryan, Dav, and Sam breakdown minute one hundred and five of Scott Pilgrim vs The World. In this episode, Bryan, Dav, and Sam breakdown minute one hundred and four of Scott Pilgrim vs The World. In this episode, Bryan, Dav, and Sam breakdown minute one hundred and three of Scott Pilgrim vs The World. In this episode, Bryan, Dav, and Sam breakdown minute one hundred and two of Scott Pilgrim vs The World. In this episode, Bryan, Dav, and Sam breakdown minute one hundred and one of Scott Pilgrim vs The World. In this episode, Bryan, Dav, and Sam breakdown minute one hundred of Scott Pilgrim vs The World. In this episode, Bryan, Dav, and Sam breakdown minute ninety-nine of Scott Pilgrim vs The World. In this episode, Bryan, Dav, and Sam breakdown minute ninety-eight of Scott Pilgrim vs The World. Minute 97: You Weren't Wronged? In this episode, Bryan, Dav, and Sam breakdown minute ninety-seven of Scott Pilgrim vs The World. In this episode, Bryan, Dav, and Sam breakdown minute ninety-six of Scott Pilgrim vs The World. In this episode, Bryan, Dav, and Sam breakdown minute ninety-five of Scott Pilgrim vs The World. In this episode, Bryan, Dav, and Sam breakdown minute ninety-four of Scott Pilgrim vs The World. In this episode, Bryan, Dav, and Sam breakdown minute ninety-three of Scott Pilgrim vs The World. In this episode, Bryan, Dav, and Sam breakdown minute ninety-two of Scott Pilgrim vs The World. In this episode, Bryan, Dav, and Sam breakdown minute ninety-one of Scott Pilgrim vs The World. In this episode, Bryan, Dav, and Sam breakdown minute eighty of Scott Pilgrim vs The World. Minute 90: Are You With Me? In this episode, Bryan, Dav, and Sam breakdown minute ninety of Scott Pilgrim vs The World. In this episode, Bryan, Dav, and Sam breakdown minute eighty-nine of Scott Pilgrim vs The World. In this episode, Bryan, Dav, and Sam breakdown minute eighty-eight of Scott Pilgrim vs The World. In this episode, Bryan, Dav, and Sam breakdown minute eighty-seven of Scott Pilgrim vs The World. In this episode, Bryan, Dav, and Sam breakdown minute eighty-six of Scott Pilgrim vs The World. In this episode, Bryan, Dav, and Sam breakdown minute eighty-five of Scott Pilgrim vs The World. In this episode, Bryan, Dav, and Sam breakdown minute eighty-four of Scott Pilgrim vs The World. In this episode, Bryan, Dav, and Sam breakdown minute eighty-three of Scott Pilgrim vs The World. In this episode, Bryan, Dav, and Sam breakdown minute eighty-two of Scott Pilgrim vs The World. In this episode, Bryan, Dav, and Sam breakdown minute eighty-one of Scott Pilgrim vs The World. In this episode, Bryan, Dav, and Sam breakdown minute seventy-nine of Scott Pilgrim vs The World. In this episode, Bryan, Dav, and Sam breakdown minute seventy-eight of Scott Pilgrim vs The World. In this episode, Bryan, Dav, and Sam breakdown minute seventy-seven of Scott Pilgrim vs The World. In this episode, Bryan, Dav, and Sam breakdown minute seventy-six of Scott Pilgrim vs The World. In this episode, Bryan, Dav, and Sam breakdown minute seventy-five of Scott Pilgrim vs The World. In this episode, Bryan, Dav, and Sam breakdown minute seventy-four of Scott Pilgrim vs The World. In this episode, Bryan, Dav, and Sam breakdown minute seventy-three of Scott Pilgrim vs The World. In this episode, Bryan, Dav, and Sam breakdown minute seventy-two of Scott Pilgrim vs The World. In this episode, Bryan, Dav, and Sam breakdown minute seventy-one of Scott Pilgrim vs The World. In this episode, Bryan, Dav, and Sam breakdown minute seventy of Scott Pilgrim vs The World. In this episode, Bryan, Dav, and Sam breakdown minute sixty-nine of Scott Pilgrim vs The World. In this episode, Bryan, Dav, and Sam breakdown minute sixty-eight of Scott Pilgrim vs The World. In this episode, Bryan, Dav, and Sam breakdown minute sixty-seven of Scott Pilgrim vs The World. In this episode, Bryan, Dav, and Sam breakdown minute sixty-six of Scott Pilgrim vs The World. In this episode, Bryan, Dav, and Sam breakdown minute sixty-five of Scott Pilgrim vs The World. In this episode, Bryan, Dav, and Sam breakdown minute sixty-four of Scott Pilgrim vs The World. In this episode, Bryan, Dav, and Sam breakdown minute sixty-three of Scott Pilgrim vs The World. In this episode, Bryan, Dav, and Sam breakdown minute sixty-two of Scott Pilgrim vs The World. Minute 61: What The Hell? In this episode, Bryan, Dav, and Sam breakdown minute sixty-one of Scott Pilgrim vs The World. In this episode, Bryan, Dav, and Sam breakdown minute sixty of Scott Pilgrim vs The World. In this episode, Bryan, Dav, and Sam breakdown minute fifty-nine of Scott Pilgrim vs The World. In this episode, Bryan, Dav, and Sam breakdown minute fifty-eight of Scott Pilgrim vs The World. In this episode, Bryan, Dav, and Sam breakdown minute fifty-seven of Scott Pilgrim vs The World. In this episode, Bryan, Dav, and Sam breakdown minute fifty-six of Scott Pilgrim vs The World. In this episode, Bryan, Dav, and Sam breakdown minute fifty-five of Scott Pilgrim vs The World. In this episode, Bryan, Dav, and Sam breakdown minute fifty-four of Scott Pilgrim vs The World. In this episode, Bryan, Dav, and Sam breakdown minute fifty-three of Scott Pilgrim vs The World. In this episode, Bryan, Dav, and Sam breakdown minute fifty-two of Scott Pilgrim vs The World. In this episode, Bryan, Dav, and Sam breakdown minute fifty-one of Scott Pilgrim vs The World. In this episode, Bryan, Dav, and Sam breakdown minute fifty of Scott Pilgrim vs The World. In this episode, Bryan, Dav, and Sam breakdown minute forty-nine of Scott Pilgrim vs The World. In this episode, Bryan, Dav, and Sam breakdown minute twenty of Scott Pilgrim vs The World. In this episode, Bryan, Dav, and Sam breakdown minute forty-seven of Scott Pilgrim vs The World. In this episode, Bryan, Dav, and Sam breakdown minute forty-six of Scott Pilgrim vs The World. In this episode, Bryan, Dav, and Sam breakdown minute forty-five of Scott Pilgrim vs The World. In this episode, Bryan, Dav, and Sam breakdown minute forty-four of Scott Pilgrim vs The World. In this episode, Bryan, Dav, and Sam breakdown minute forty-three of Scott Pilgrim vs The World. In this episode, Bryan, Dav, and Sam breakdown minute forty-two of Scott Pilgrim vs The World. In this episode, Bryan, Dav, and Sam breakdown minute forty-one of Scott Pilgrim vs The World. In this episode, Bryan, Dav, Sam, and Dave Campfield breakdown minute forty of Scott Pilgrim vs The World. In this episode, Bryan, Dav, Sam and Dave Campfield breakdown minute thirty-nine of Scott Pilgrim vs The World. 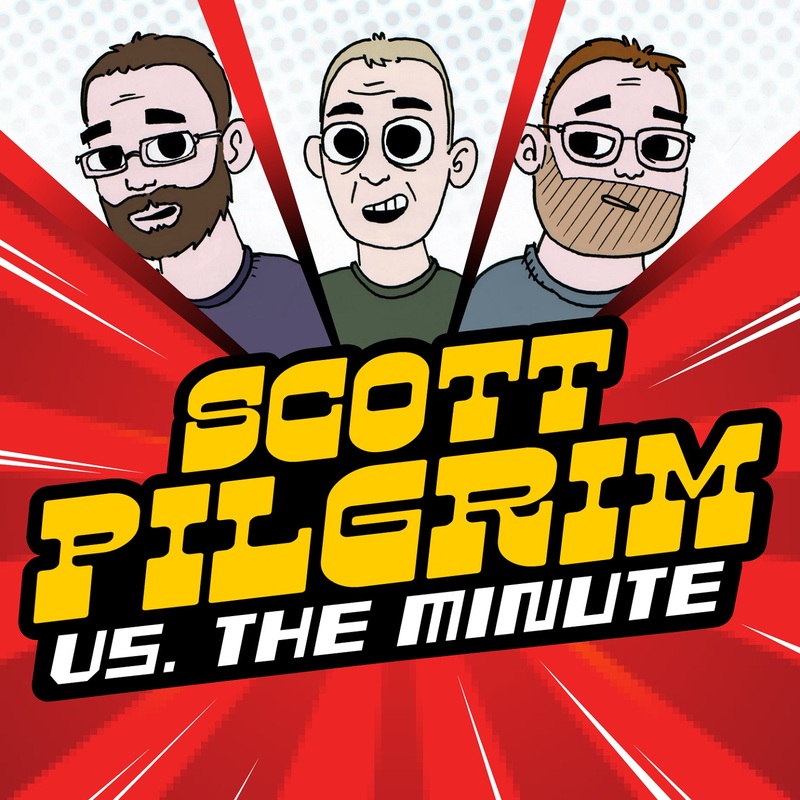 In this episode, Bryan, Dav, Sam and Dave Campfield breakdown minute thirty-eight of Scott Pilgrim vs The World. In this episode, filmmaker Dave Campfield joins Bryan, Dav, and Sam to breakdown minute thirty-six of Scott Pilgrim vs The World. In this episode, Bryan, Dav, and Sam breakdown minute thirty-five of Scott Pilgrim vs The World. In this episode, Bryan, Dav, and Sam breakdown minute thirty-four of Scott Pilgrim vs The World. Minute 33: Anyone Need A Drink? In this episode, Bryan, Dav, and Sam breakdown minute thirty-three of Scott Pilgrim vs The World. In this episode, Bryan, Dav, and Sam breakdown minute thirty-two of Scott Pilgrim vs The World. In this episode, Bryan, Dav, and Sam breakdown minute thirty-one of Scott Pilgrim vs The World. In this episode, Bryan, Dav, and Sam breakdown minute thirty of Scott Pilgrim vs The World. In this episode, Bryan, Dav, and Sam breakdown minute twenty-eight of Scott Pilgrim vs The World. In this episode, Bryan, Dav, and Sam breakdown minute twenty-seven of Scott Pilgrim vs The World. In this episode, Bryan, Dav, and Sam breakdown minute twenty-six of Scott Pilgrim vs The World. In this episode, Bryan, Dav, and Sam breakdown minute twenty-five of Scott Pilgrim vs The World. In this episode, Bryan, Dav, and Sam breakdown minute twenty-four of Scott Pilgrim vs The World. In this episode, Bryan, Dav, and Sam breakdown minute twenty-three of Scott Pilgrim vs The World. In this episode, Bryan, Dav, and Sam breakdown minute twenty-two of Scott Pilgrim vs The World. In this episode, Bryan, Dav, and Sam breakdown minute twenty-one of Scott Pilgrim vs The World. In this episode, Bryan, Dav, and Sam breakdown minute nineteen of Scott Pilgrim vs The World. In this episode, Bryan, Dav, and Sam breakdown minute eighteen of Scott Pilgrim vs The World. In this episode, Bryan, Dav, and Sam breakdown minute seventeen of Scott Pilgrim vs The World. In this episode, Bryan, Dav, and Sam breakdown minute sixteen of Scott Pilgrim vs The World. In this episode, Bryan, Dav, and Sam breakdown minute fifteen of Scott Pilgrim vs The World. In this episode, Bryan, Dav, and Sam breakdown minute fourteen of Scott Pilgrim vs The World. In this episode, Bryan, Dav, and Sam breakdown minute thirteen of Scott Pilgrim vs The World. In this episode, Bryan, Dav, and Sam breakdown minute twelve of Scott Pilgrim vs The World. In this episode, Bryan, Dav, and Sam breakdown the eleventh minute of Scott Pilgrim vs The World. In this episode, Bryan, Dav, and Sam breakdown the tenth minute of Scott Pilgrim vs The World. In this episode, Bryan, Dav, and Sam breakdown the ninth minute of Scott Pilgrim vs The World. In this episode, Bryan, Dav, and Sam breakdown the eighth minute of Scott Pilgrim vs The World. In this episode, Bryan, Dav, and Sam breakdown the seventh minute of Scott Pilgrim vs The World. In this episode, Bryan, Dav, and Sam breakdown the sixth minute of Scott Pilgrim vs The World. In this episode, Bryan, Dav, and Sam breakdown the fifth minute of Scott Pilgrim vs The World. In this episode, Bryan, Dav, and Sam breakdown the fourth minute of Scott Pilgrim vs The World. In this episode, Bryan, Dav, and Sam breakdown the third minute of Scott Pilgrim vs The World.